The German Federal Financial Supervisory Authority (Bundesanstalt für Finanzdienstleistungsaufsicht – BaFin) has ordered XtraderFX to cease offering cross-border investment advice and proprietary trading to German investors. According to the official warning, the company has been calling German customers from German and British phone numbers and has been offering them CFDs on cryptocurrencies, currencies, commodities, indices and equities. 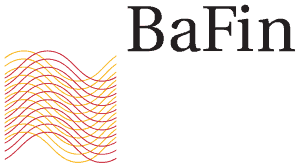 The Federal Financial Supervisory Authority (German: Bundesanstalt für Finanzdienstleistungsaufsicht) better known by its abbreviation BaFin is the financial regulatory authority for Germany. The main task of BaFin is the supervision of banks, insurance companies and the trading of securities and ensure the viability, integrity and stability of the German financial system. XtraderFX is a broker that operates through several trading platforms (www.xtrader-fx.com, www.xtraderfx-com, www.xtraderfx.net). The company is owned and operated by GPAY Ltd., and claims to be located and registered in the UK. However, the broker is not regulated in the UK by its Financial Conduct Authority. Moreover, XtraderFX has been banned by the British regulator in July 2018. The negative comments about the XtraderFX on the net also reveal that those who invested are having hard times with withdrawing their money, while the company representatives are cold calling them promising high returns. Considering all the above, we would not recommend you investing with XtraderFX. Instead, we advise our readers to avoid dealing with unregulated entities and choose among the reliable and regulated ones. There is a number of properly licensed firms, such as UK brokers and German brokers. You can read our review on this broker here.